We knew it would happen: Someone would go on national TV to announce she has a favorite child. And then mothers and children everywhere would get that sick feeling in their stomachs they get after watching footage of a person getting hit by a car. Who goes on a daytime talk show to admit that “Truman has always been my favorite”? That’s fine if you’re a 90-year-old recalling your favorite president, but this time, it was a mom, former Project Runway contestant Laura Bennett, talking about her son. Host Anderson Cooper appears to be incredulous. Audience members, meanwhile, are clearly not amused. The fleeting solidarity is quite touching. I pretend to be immune to their pleas, then after a few moments feign repent and allow their brother back in the car. We finish our journey in relative silence with just the sound of an occasional snivel coming from the back. Mission accomplished. The entire episode basically has the effect of an emotional stun gun. No one got hurt, but they are too drained to misbehave. For a couple of blocks anyway. Her brand of parenting is to wield emotional weapons against her kids because, she laments, parents have lost the threat of bodily harm. 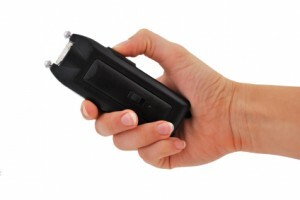 So clearly she belongs on TV, brandishing her emotional stun gun before millions of viewers, right? You know, because she can’t slap her kids. But this is just as effective. Tell us: Is she all kinds of wrong, or do you side with her? I think that’s really disgusting. Kids should be allowed a childhood that teaches them to feel proud of themselves – not make them feel like, at any moment, they could be left to walk their way home on the side of the road. I think she’s just setting her kids up for a life full of insecurity and constant sibling rivalry. I say all kinds of wrong! But we can give her honest…maybe fearless. Still…all kinds of wrong. I have six kids. In my opinion, emotional games will fuel fires, and turn siblings against one another. Kids don’t even respond well when you use their sibling as an example of ‘job well done’ much less ‘she’s my fav’… C’mon. Should go against mom-moral-code. Words don’t often fail me, but I have to admit, I have absolutely no idea what to say to that. I don’t even *want* to understand. Oh, good grief. She has no natural feeling whatsoever. What a…well, you know….